Cam Harmony is a social project to make a positive difference and contribution in the communities by celebrating and creating more diversity via interfaith and inter cultural dialogue and active participation of like-minded people. I have been working in various capacities to engage extensively with children, youth and women. 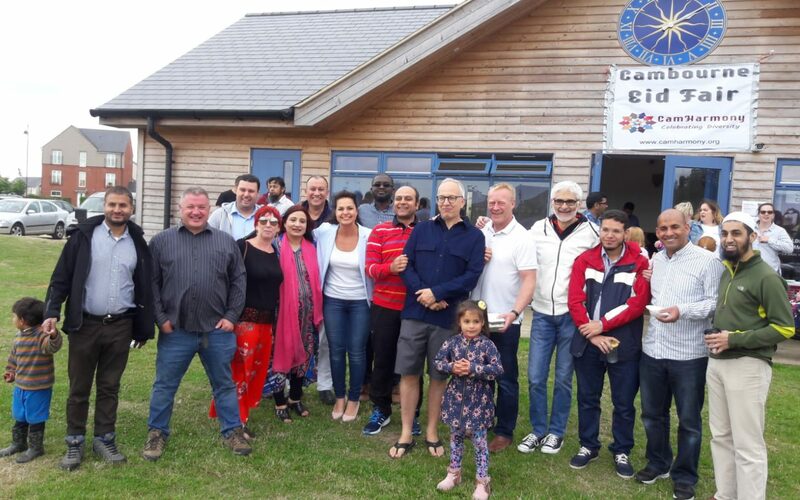 Whether it was as a University Lecturer, a School Governor in London and Cambourne or working as a Cambourne Parish Councillor, I have always strived to bring a positive change in the social setup to encourage communal understanding, friendly relations and harmony. Having studied Science, combined with a degree in Law, my thoughts have always encompassed life’s issues and practicalities. My aim is to learn more about what would be better for the communities and I believe “finding a better way of doing things” is paramount for all of us. My passion lies in helping people who are less advantaged, and, this is the reason I am presently serving the Cam Academy Trust. With this project, I aim to strengthen the connection and cooperation between our communities via more interaction and dialogue. I have been enjoying adventurous journey as an active journalist for over 25 years with international organisations, including the BBC and United Nations News. During my professional journey, I have been carrying out debates on issues concerning people all over the world. I actively believe that rational and humane thinking should be encouraged as a vehicle to achieve the larger goal of making this world a better place for all to live in with dignity and without fear, prejudice and discrimination on any ground. In my opinion, freedom of expression along with respecting other people’s points of view opens the doors to make societies and communities a fertile place for diversity and harmony. With the satisfaction of working in public interest, I thought to utilise my experience in a slightly different way. Hence, offering my humble services to bring about positive change for diversity and communal harmony. Cam Harmony Team also includes all like-minded people, volunteers, active participants and supporters.